Day 13: Blog Each Day In August - Five of your all-time favourite movies | Wendy J. Dunn, Award-Winning Author. Geneviève Bujold channeled the spirit of Anne Boleyn to perfection. Another story about another strong woman who refused to be silenced. Really, Rachel Weisz deserved an Oscar for her performance as the philosopher Hypatia. A great, unforgettable movie set in the Tudor period. 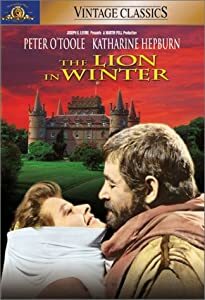 Katherine Hepburn and Peter O’Toole are superb as the warring Henry II of England and his wife Eleanor of Aquitaine.